The Zamioculcas plant is a tropical perennial plant native to eastern Africa. 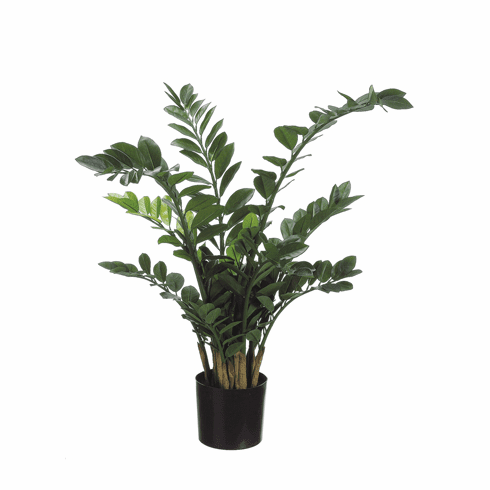 This artificial plant has many green leaves running up and down stalks and makes a great floor plant. This is a different look for a plant so you will sure to have your guest asking questions. Size: 42 inch Height (3.5 feet tall) measure from bottom of pot to tallest point.